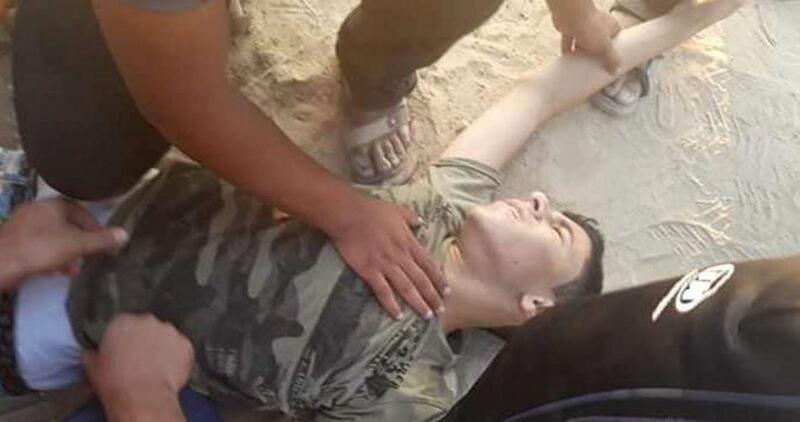 Three Palestinians sustained injuries at nightfall Sunday after they were hit with Israeli bullet fire east of the Bureij refugee camp, in central Gaza Strip. A PIC news correspondent said Israeli patrols opened fire at a group of Palestinians maintaining peaceful vigil near the border fence, in the vicinities of the Bureij Camp. Three Palestinians were left wounded, among them the son of the prominent anti-occupation figure Marwan Issa. The injured persons were evacuated to the Shuhada al-Aqsa hospital, in Deir Balah, for treatment. At least 157 Palestinians, including 22 children, were killed by Israeli gunfire since the outbreak of the Great March of Return protests on March 30 along Gaza’s border area.